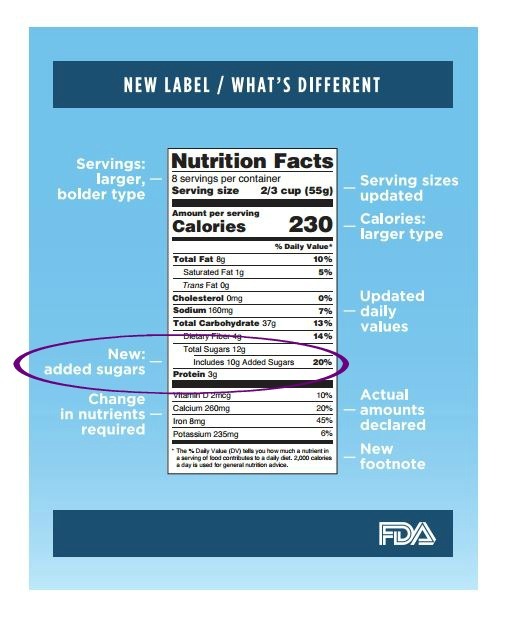 The U.S. Food and Drug Administration (FDA) just updated nutritional labels for packaged foods. The new label requires a line for added sugars. This may be a step in the right direction, but if history is any indication, some bad things are about to happen. First, the sugar industry is already threatening to sue the FDA for singling out added sugars. The industry backlash will be interesting to track over the next year (the new labels aren’t required until July 2018). Second, the focus on sugars that are added to food will cause a marketing frenzy that will prey on the busy eaters of the world. We will see more packages with “No Added Sugars” slapped across the front. A majority of us will pick up these packages thinking they are healthier options, when in reality they may not be. 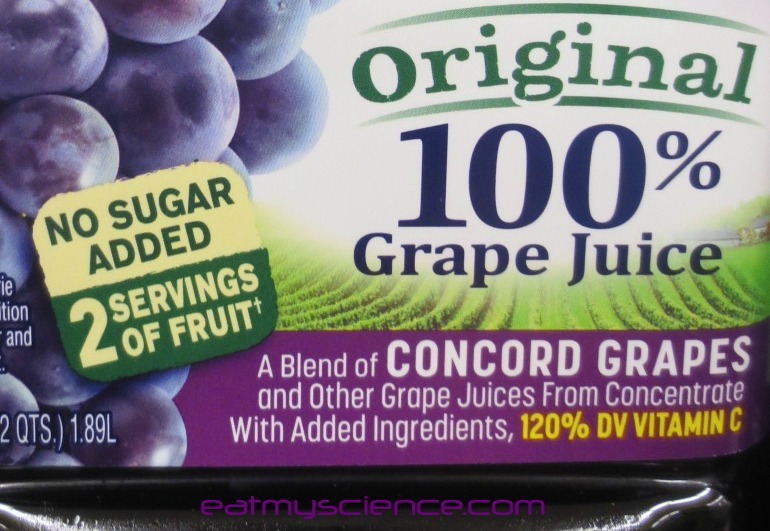 For instance, this grape juice label says “No Sugar Added” but 8 oz. has more sugar than 2 ding dongs! 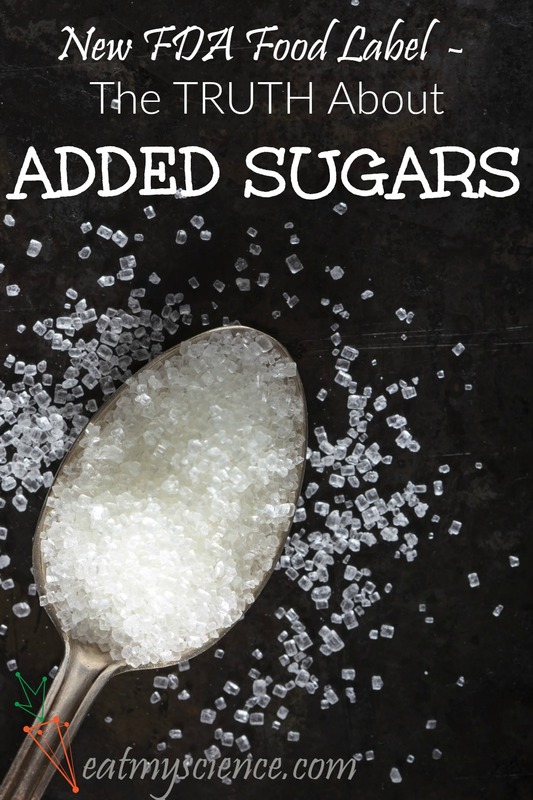 Finally, big companies will come up with new recipes to side-step added sugars. 30 years from now we’ll be talking about how sugars were replaced with an abundance of some other chemicals that now cause 2-headed babies. Thanks for that. Related: Liebster Award Winning Eat My Science! I heard about a really effed up industry trick. Because sugars can have slightly different formulas, the food companies can call sugar different names in the ingredient list. This allows them to show up farther down the list since ingredients with the largest amounts are listed first. I felt sick when I looked at this very popular cereal and its marketing. 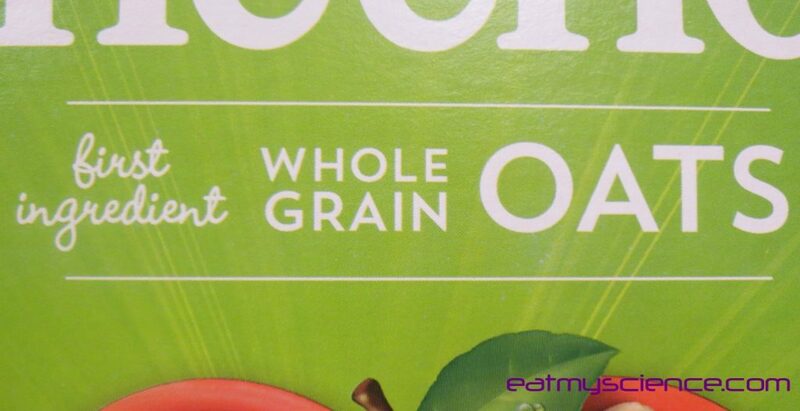 “First Ingredient Whole Grain Oats” right on the front of the box. Let’s look at the label. Whole grain oats, first ingredient! But look further down. 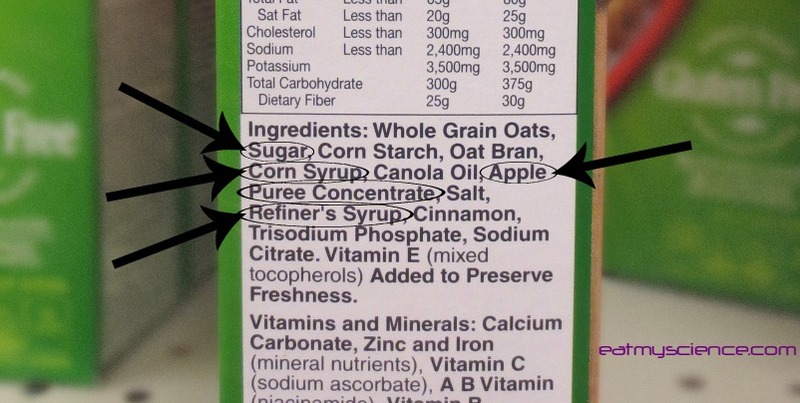 Sugar + corn syrup + apple puree concentrate + refiner’s syrup = way more sugar than whole grain oats. Sugar is the first ingredient. No wonder we don’t know how much sugar we are actually eating. It’s a lot more than we think. Enough to give me a fatty liver. What do we do with this “added sugars” information? We should be concerned with the total sugars in the food we are eating, not just the added sugars. When you start to see “No Sugar Added” on every kind of food, make sure to notice what else they added instead. And check the total sugar content. You may be better off eating a ding dong or two. Man this is very valid. I am always avoiding sugars and definitely realizing I have been had by this gimmick probably a hundred times. Thanks! I was actually angry when I found the proof myself. I understand the business side of things, but I believe in honesty and I felt lied to when I realized this was actually happening. Thanks for your reply, Nick!